Often referred to as the mobile version of the classic book “What To Expect When You Are Expecting”, this app provides weekly updates on the changes that are about to take place within your body, as well as the changes that your baby is going through. You can document your entire pregnancy visually, with the help of its photographic journal. This free app allows you to connect with other moms-to-be, based on due dates, locations or interests. While several mobile apps provide dietary advice, none are customized for pregnant women, as much as this one is! Just make a note of all the food you have eaten for the day and Dr. App will tell you how you are doing and what you should eat, to increase your nutritional intake. Who doesn’t want a free mobile app telling them to eat their veggies? For detailed information on the nutritional content of what you are eating, don’t forget to download Nutrition Facts Pro. This application will calculate the percentage of the nutrients you are getting from your meals, based on dietary reference intakes for pregnant women. With over 7,000 different types of food items in its database, this app gives you ample choice of food. This free app may not be as sleek as some of the others, but it is definitely worth a try. 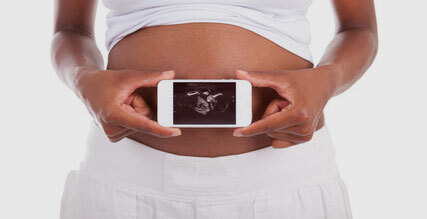 Online resources and mobile apps have definitely made things very convenient for pregnant women. Do keep in mind though, that these apps cannot replace the guidance and supervision of a doctor. There is no harm in referring to mobile apps between doctor’s visits. However, make it a point to schedule regular appointments as required.